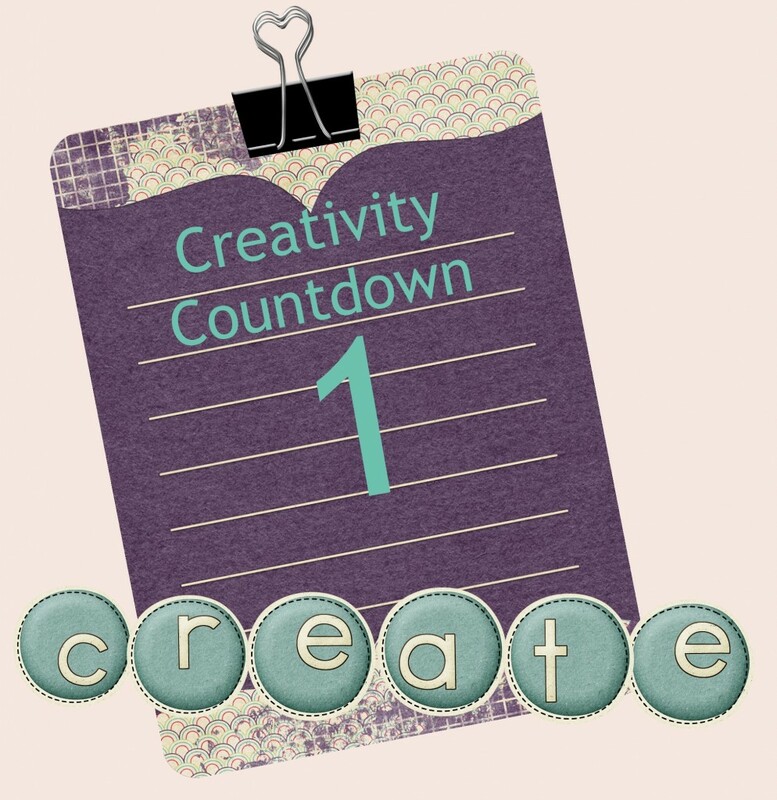 This is the very last week of the Creativity Countdown. We’ve counted down 8 weeks leading into the New York and to the Rediscover Your Creativity & Make Jewelry eCourse. You can find all the weeks below. What are we counting down to? Well, I’m so glad you asked! January 5, 2015 we’ll be starting our next round of Rediscover Your Creativity & Make Jewelry eCourse. It’s a six week eCourse with weekly prompts to help you rediscover or boost your creativity, jewelry lessons and jewelry projects. The price of the eCourse will be jumping up on Friday, January 2nd, 2015. 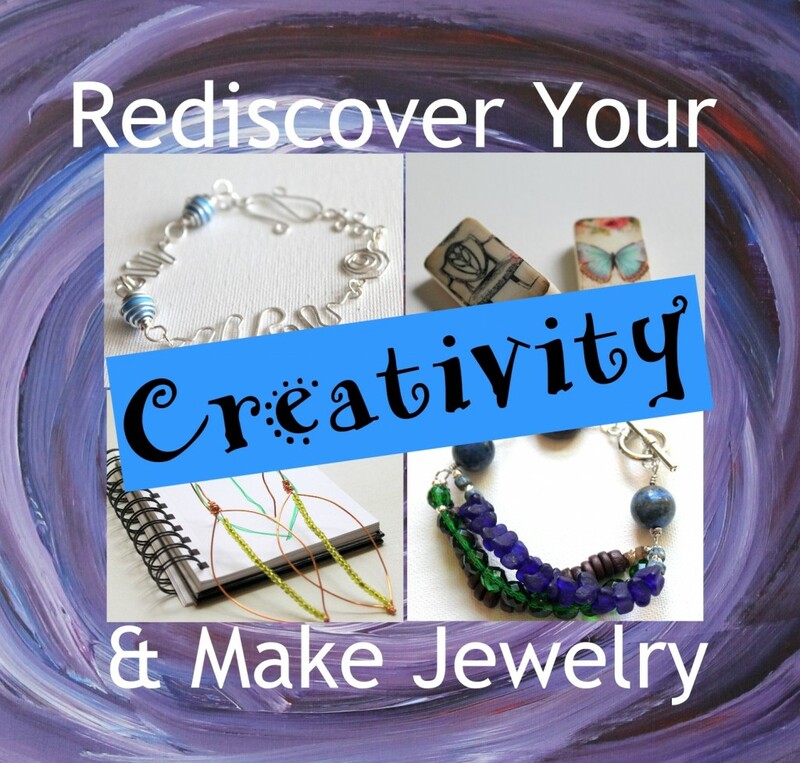 Also, as of the time I’m writing this there is one more spot leave to get a free Rediscover Your Creativity & Make Jewelry print book when you sign up. To learn more about Rediscover Your Creativity & Make Jewelry, please click here. Week 8 can be found here. Week 7 can be found here. Week 6 can be found here. Week 5 can be found here. Week 4 can be found here. Week 3 can be found here. Week 2 can be found here. As we prepare for the New Year we often think about goals or things we’d like to accomplish in the upcoming year. I know I set goals around all areas of my life including creativity. Often we go full steam into the New Year without much thought about our past year and what we’ve accomplished. Or we come up with a list of things we’d like without appreciating what we have. While I do believe it’s important to have goals, I know that it’s also important to appreciate what you have and be grateful for the things in your life. I have kept gratitude journals on and off over the years, but I’ve never been really consistent with it. This year gratitude is a big goal of mine. What does gratitude have to do with creativity? Well, studies have shown that when you’re grateful for what you have, you are happier. The kind of happiness I’m talking about is probably more accurately described as being content. I’m not talking about happy, laughing all the time; it’s more a feeling of fulfillment and be content. When you’re content, you have made a lasting, positive impact on your life and that affects all areas of your life, including creativity. Gratitude lets us appreciate what we have instead of reaching for new things hoping that that new thing will finally make us happy. It changes our focus to what we have instead of what we don’t have. You may fake it at first, but eventually it will be engrained in you and your mental state will actually change. Now, I know that we have all read or experienced that artists are bipolar or depressed and mentally ill. I am bipolar and I have shared how creativity has helped me with that. Being creative, and specifically making jewelry, has gotten me through a lot of difficult times to be sure. I think that happiness can influence creativity at least as much, if not more. When you feel content, you give yourself space and room to create. And I think if sadness and negative things can be inspiring, so can positivity and happiness. Entire books are written on this subject, but I want to give you some concrete things you can do to bring gratitude into your life. 1. Keep a gratitude journal. You can make one like I did in the picture above with paper bags or get a notebook or journal to record what you’re grateful for. 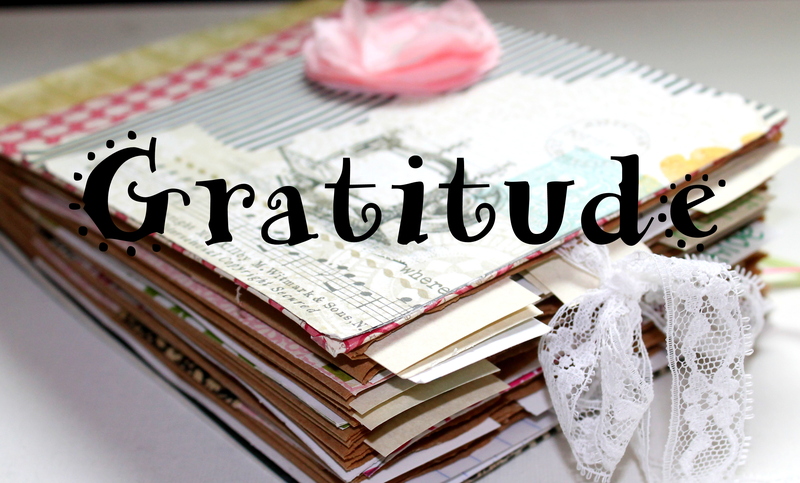 I liked my paper bag gratitude journal because I could place note cards in the little openings created each day with things I’m grateful for that day. 2. Keep a gratitude jar. I might do this for 2015. Get a mason jar (or really any jar) and each day write something you’re grateful for on a slip of paper and put it in the jar. Then on New Year’s Eve next year you can read them all! You could decorate the jar or you don’t have to. You could find a cool jar at a thrift store or use anything you have around. Here’s my tutorial to make a decoupage jar or lantern. It might be handy for you to hang it up, so you can see how to do it there. Or leave that part off and just put it on a table. I’m planning to pre-cut the strips that we’ll write what we’re grateful for on so that there’s never an excuse not to do it. 3. Make a Garland of Gratitude. I love this idea! It doesn’t have to be for Thanksgiving. I can be anytime. Click here for how to make one. 4. Send a thank you card or handwritten note to somebody. Telling someone that you appreciate them is a great way to feel grateful. It doesn’t have to be for anything specific. It can be thank you for being you. Do you have a gratitude practice? Are you going to try one of these? 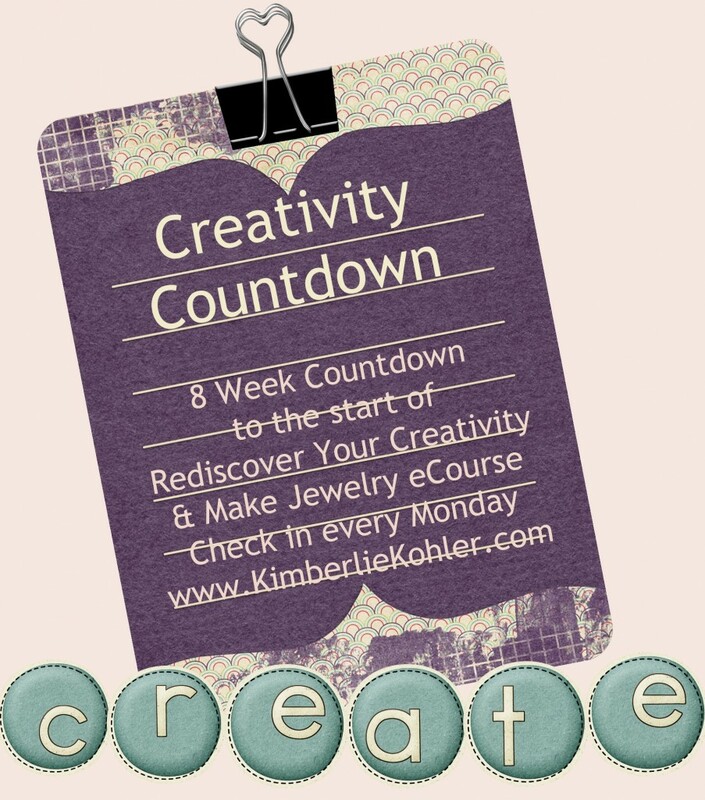 My 6 week eCourse, Rediscover Your Creativity & Make Jewelry starts on January 5th, 2015. Learn more about the eCourse and get in here before the price goes up on January 2nd! Start out 2015 feeling super creative! Each week for 6 weeks you get a creativity booster, jewelry making lessons and one or more jewelry making projects via video and PDF eBooks. People feel unstuck creatively and find their creativity again! This round I’m adding even more tips and tricks and jewelry making projects. This entry was posted in Creativity and tagged creativity, Creativity Countdown, emerging creatively tutorials, gratitude, kimberlie Kohler, rediscover your creativity by Kimberlie. Bookmark the permalink.